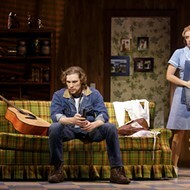 If you didn’t get enough sweet and savory over the holidays, consider heading down to the Majestic Theatre this week to take a bite out of the national tour of Waitress (playing through Sunday, January 13), where the all-female creative team (a Broadway first) of Sara Bareilles (music and lyrics), Jessie Nelson (book), Diane Paulus (director) and Lorin Latarro (choreographer) is serving up a faithfully retold musical version of the late Adrienne Shelly’s hit 2007 indie film of the same name. Jenna Hunterson (Christine Dwyer), a waitress at Joe’s Pie Shop, dreams of escaping her abusive husband Earl (played by Dwyer’s real-life husband, Matt DeAngelis) by winning a pie-baking contest, but learns she’s pregnant with a child she’s not sure she wants to keep. So, Jenna does what any of us might do in a similar situation…initiate an affair with our married obstetrician! 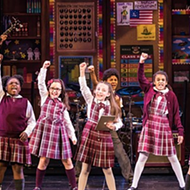 Bareilles’ smooth score captures the musical’s mix of comedy, romance and drama with a delicate balance of pop, country and the occasional 1950s doo-wop, performed by a six-piece onstage band that interacts nicely with the ensemble. Paulus’ staging is creative and effective, but is often upstaged by Lorin Latarro’s powerful (yet simple) choreography. 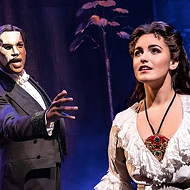 While it’s easy to get swept away by the mouthwatering score, appetizing stage pictures and delicious performances (sorry, I can’t stop), not every slice of this musical pie is palatable. If one allows themselves to think too much (always a danger in musical theater) the show can leave a bit of a bad taste. 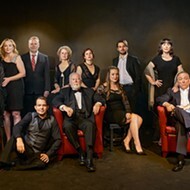 Jessie Nelson’s book — and Shelly’s original screenplay — seems to suggest that extramarital affairs are a virtuous option for those seeking fulfillment and happiness (in addition to the affair between Jenna and her married doctor, the married Becky is canoodling with their married boss, Cal). And while it is admirable (and much needed) to present a female-driven plot line, the ultimate message of the musical is not exactly feminist; suggesting instead that a woman can only be successful with the financial support of a man and can only be truly happy and fulfilled as a mother. 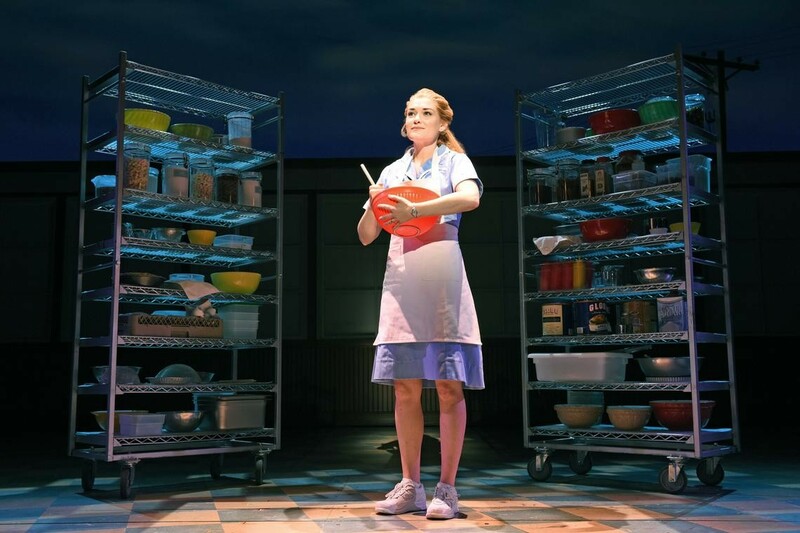 That being said, however, Waitress is also a musical that celebrates sisterhood, values the importance of connecting with our past, and encourages each of us to fill our own pies with the sweet, the savory and everything in between. 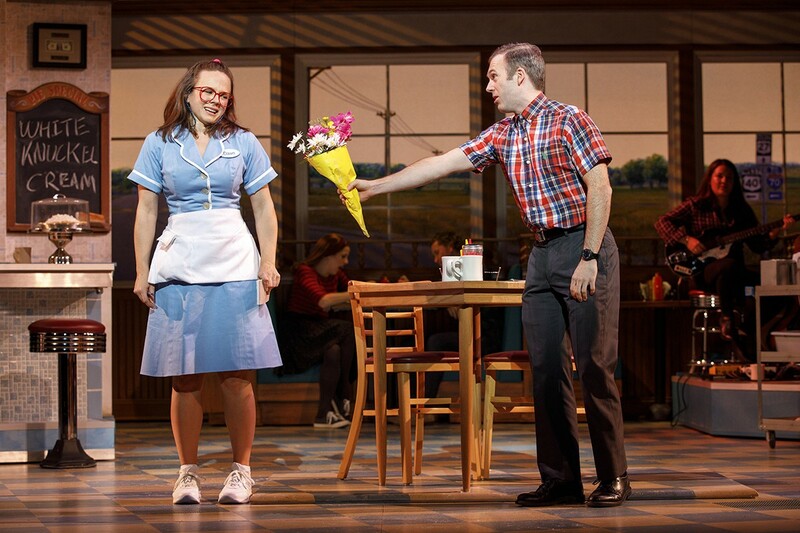 Ultimately, this is a musical that tugs at the heartstrings in all the right ways and is easy to love, as easy as, well, pie.